Firmly on its mark with economic and environmental trends, the automotive coatings industry is set to grow, crossing an $11.7 billion finish line within five years, a new market forecast reports. 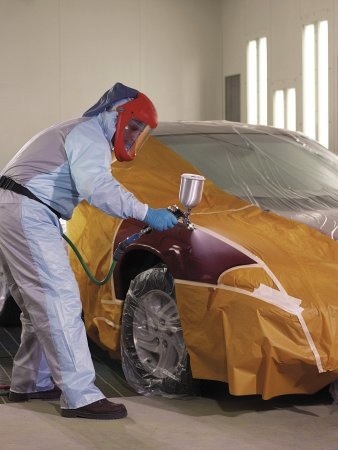 Changing demands—in automobile and coatings technology, auto markets and regional economies—have forced the auto paint industry to evolve. The upshot: Today, it is aligned with environmental, technology, health and safety, and economic trends that will drive solid growth through 2018, acccording to "Automotive Paints Market–Global Trends & Forecast to 2018," just released by MarketsandMarkets (M&M), a research and consulting firm based in Dallas, TX. Coatings technology has changed dramatically with that of the auto industry, evolving to meet the newest automobile materials and the latest protective and aesthetic demands, the report says. Global automakers turned out 63 million passenger cars, 16.9 million light commercial vehicles and 4.1 million heavy commercial vehicles in 2012. What began decades ago with simple pigments, solvent-based paints, and varnish for wooden parts has evolved into high-tech polymer-based coatings in countless color and finish options for lightweight steel, aluminum, plastic, fiber and other new materials. Low-VOC, waterborne formulations, powder and UV-cured coatings have all improved the environmental profile of today's automotive paints, while more durable formulations have allowed reductions in coating layers and thickness. The new technologies dovetail with increasing environmental regulations in North America, Europe and elsewhere, the report says. Meanwhile, application methods have also evolved toward more cost-effective technologies (air gun, HVLP guns) that reduce waste, M&M reports. Add in spiraling global demand for vehicles of all types (the world produced 84.1 million vehicles in 2012), especially in emerging economies, and the industry is revved for growth, the report says. 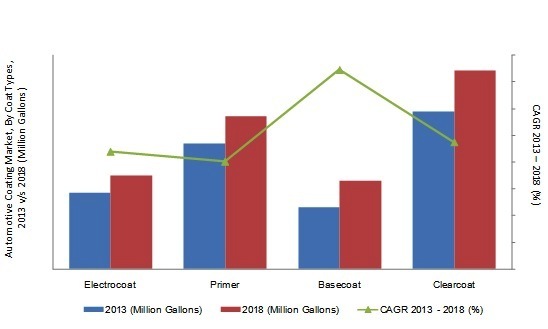 The automotive OEM coating market is expected to grow from $8.7 billion in 2013 to $11.7 billion by 2018, the forecast says. The highest demand this year should come from China, the United States, Japan, Germany, India and South Korea. The highest five-year growth rate is expected in South Korea, India, the U.S., China, the UK and Mexico. Key players in the global market include PPG Industries (U.S.), BASF (Germany), Axalta Coating Systems/DuPont (U.S.), Kansai Paint (Japan) and Nippon Paint (Japan), the report notes. Key players in the global automotive paints market reportedly include PPG Industries, BASF, Axalta Coating Systems (formerly DuPont), Kansai Paint and Nippon Paint. The report breaks down the market by coating type (electrocoat, primer, basecoat and clearcoat); technology (solvent-borne, waterborne and powder coating); texture type (metallic and solid); vehicle type; and geography. The Asia-Oceania (Central and South Pacific) region is now the world's largest automotive coatings market, with the highest revenues and regional compound annual growth rate (CAGR) estimated at 7.85 percent for the next five years. Asia-Oceania produces more vehicles than any other region—more than 47.2 million this year alone, making it "the most important market for the automotive coating industry," the report says. The strong regional presence of Nippon, Kansai and KCC Paints will "help to fuel the market growth for coatings in this region." Global players PPG Industries, BASF, Axalta Coating Systems (formerly DuPont) also have a presence in the region and are likely to influence demand. Some of these companies have set up joint ventures with local manufacturers, the report notes. Europe, the world's No. 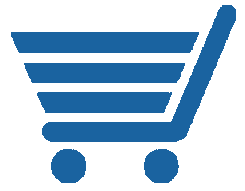 2 vehicle producer, is recovering from its economic slowdown of recent years and should see steady growth through 2018, the report says. Europe will produce about 18.4 million vehicles this year, with a CAGR estimated at a "promising" 4.15 percent for the next five years. 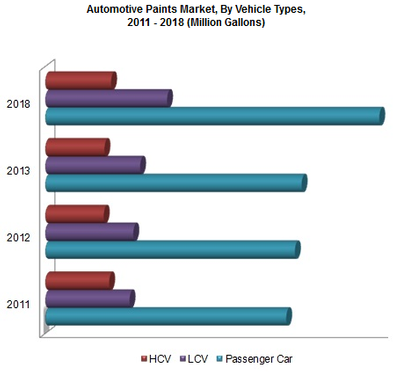 "Automotive Paints Market–Global Trends & Forecast to 2018" shows growth across all coating types. Regulations for VOC content have enhanced eco-friendly coatings growth in the area. Key players here are BASF, AkzoNobel, Bayer, Beckers and Royal DSM. Now the world's third-largest vehicle maker, North America will produce about 17.9 million vehicles in 2013. A "rapid boost" in production across the continent and a CAGR of 7.5 percent should push North America past Europe into the No. 2 automaker position by 2018, the report says. Waterborne, powder and other eco-friendly coatings should grow at a "promising rate" for the next five years, driven by environmental concerns and increased regulations and usage restrictions. Key North American market players are PPG, Axalta Coating Systems, Eastman Chemical and Sherwin-Williams, all based in the United States. 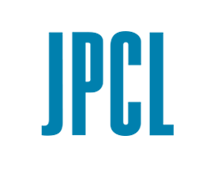 Founded in 2001, MarketsandMarkets publishes strategically analyzed market research reports and serves and a business intelligence partner to Fortune 500 companies worldwide.